Nearly one fifth of global consumers (18%) have made an in-store mobile payment in the past six months, representing an increase of 10% from the same period in 2014, research released by trade body Mobile Ecosystem Forum (MEF) reveals. 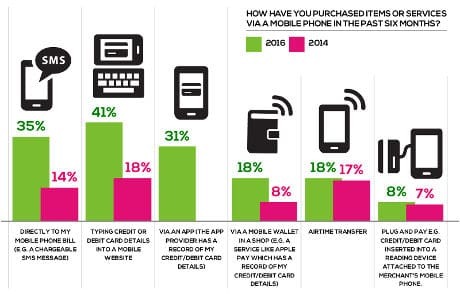 Chinese consumers lead the way, with 38% of them having paid with their phone at the point of sale — nearly double the global average. Mature markets including the UK, US, France and Germany scored second in terms of in-store mobile payment usage with 17%, followed by emerging markets including Brazil, India, South Africa and Nigeria with 13%. MEF’s Mobile Money Report also reveals that 78% of respondents have made a mobile payment of some kind — either in-store, online or in-app. 61% now use mobile banking, 44% use apps to check their balances (up from 28% in 2014) and 29% pay bills from their handset (up from 20% two years before). However, when asked which processing method they trust the most, only 9% trust storing details in a mobile app. 17% of respondents said that, of all card payment scenarios, they trust handing a card to a waiter/shop assistant the most. 58% of those surveyed have started to pay for something on their mobile, only to abandon the purchase before checkout — 31% said this was because they were asked for too much sensitive information, while 21% said the process was too long. “The adoption of mobile money continues to advance,” says Rimma Perelmuter, CEO of MEF. 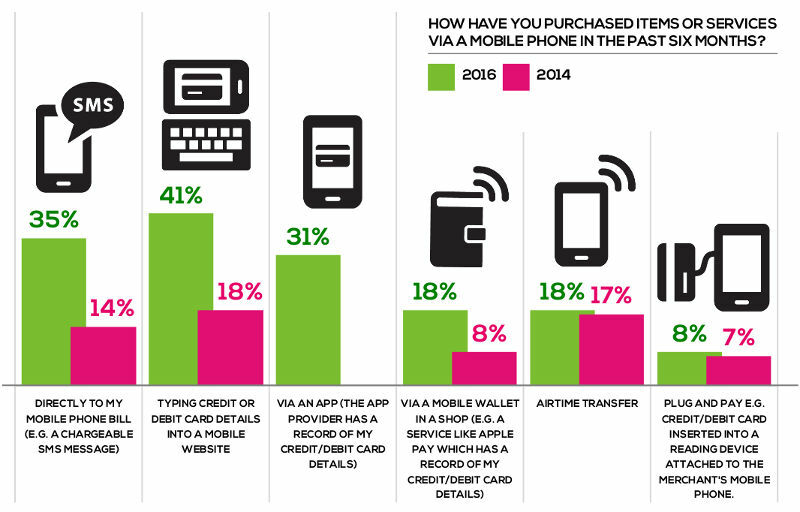 “In developed markets, mobile payments and banking are driving a revolution in convenience. In growth markets, they are giving millions of people access to financial services for the first time. The Mobile Money Report was supported by Wirecard and On Device Research and is based on a survey of 6,000 consumers in nine countries.